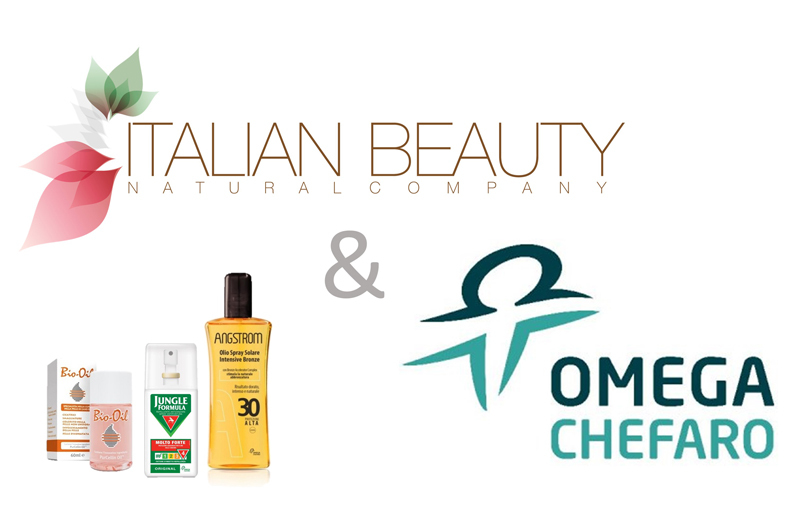 At the beginning of 2016 it was officially announced the partnership between the companies Italian Beauty and Chefaro Pharma Italia: in this way Italian Beauty has become the exclusive distributor for Italy, in the perfumery channel, of the brands Angstrom, Bio-Oil and Jungle Formula. A significant strategic decision by Italian Beauty that, after decades of historical experience in the distribution of the brand Piz Buin, decided to undertake a broader business and make available the expertise and resources gained in the solar market, and in the cosmetic sector in general, in favor of one of the most dynamic and growing enterprise in Italy. Chefaro Pharma Italia, the new Italian Beauty partner, was born in 2004 as the Italian branch of the Omega Pharma Holding Group, among the world’s major players in the pharmaceutical and cosmetic industry. Angstrom, whose solar products range includes the lines Love the Skin and Love the Sun, has the aim to ensure unforgettable tan; at the same time these products have high efficacy protection, ideal for children too. Bio-Oil, decreed by the major beauty magazines as the best product for stretch marks, present in 66 countries around the world, clinically proven effectiveness against scars, stretch marks, skin aging and its non-uniform colour. Jungle Formula, the only mosquito repellent in Italy with a concentration of deet to 50%. The repellent is distributed in the type Very Strong, Strong and Junior. The partnership between the two companies confirms that it is possible the multichannel distribution of a brand, a theme strongly felt in recent years, sharing goals and policies. The ongoing confrontation and the strong cooperation of the management team are the basis of what is expected to be a path of development and growth in the cosmetics industry.